Memory foam was first designed sometime in the 1960s for NASA’s airplane seats. The product, both highly energy absorbent and soft, is made from a substance called visco-elastic. The specialty of memory foams is that it adapts to the heat and pressure of the human body and goes on to evenly distribute the body weight. The foam returns to its original shape once the pressure has been removed or taken off. Once memory foams became a hit with NASA, they were soon used for padding other products, such as helmets and shoes. Some researchers also found out that memory foams could be used in prosthetics. It could also be used for making products that could prevent ulcers and for making seating pads for people who suffered from any kind of disability. Although, initially it was primarily used in products that protected the human body from external force and impact, it was soon used in making pillows, mattress pads, and mattress toppers. And why not? There are several benefits of using memory foam pillows. Memory foam molds according to your body weight and heat. It adjusts itself so that you can have a comfortable night’s sleep. When you put a memory foam topper above your mattress, you will have a good night’s sleep. You won’t wake up feeling tired and stiff. Buying a memory foam topper is more cost-effective than buying a whole new mattress whenever it wears out. You will be able to find memory foam mattress toppers in a variety of sizes. So, there will be one that fits your bed perfectly. 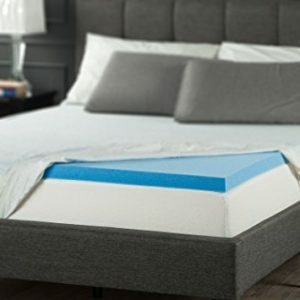 Memory foam mattress toppers are extremely portable so if you are planning a trip away, you can easily fold them yours up and carry it with you. Memory foam mattress toppers have been designed to support and provide comfort to all body shapes and sizes. Who Is a Memory Foam Mattress For? Should You Buy a Mattress Pad or a Mattress Topper? Different people have different preferences when it comes to sleeping surfaces. While some like hard surfaces, others like the snug feeling from hitting a soft, spring bed. However, if you are suffering from some kind of physical pain and your bed is only increasing the problem, that is when a memory foam mattress comes in handy. The memory foam topper responds to your body heat and dips in those places. If you buy a good quality memory foam topper, then you will notice that it conforms to your body’s shape and size. This is because the purpose of a memory foam mattress topper is to alleviate pressure points in your body. If you sleep on a hard mattress, chances are that if you have any kind of pain, it will intensify more. But, that’s not the case with a memory foam topper because it supports you and eases out pain in different parts of your body. In this guide, you will see how some high-quality memory foam mattress toppers isolate individuals. This means that if your kids are habitual of tossing and turning in bed, you will not be affected by it. It is important to understand that a mattress pad and the best mattress toppers are two entirely different things. For one, the pad is thin and is usually added to protect the mattress or to provide a bit of softness. The pad serves specific purposes like as waterproofing or anti-allergen. A mattress topper, on the other hand, provides a lot more softness and cushioning. It supports your body and isn’t just an addition on top of your old mattress. In fact, unlike pads, adding memory foam mattress toppers can give you the feeling of going to a whole new bed altogether. Nowadays, there are so many types of memory foam mattress toppers out there, which are specially designed to cater to a wide number of needs like easing body pain, relief from heat, and support. The density of a memory foam mattress topper is the weight of one cubic foot of memory foam. And the higher the density, the better the memory foam will be able to conform to your body size and weight. A memory foam mattress topper that has a higher density will be able to respond to body temperature efficiently, be more durable, and provide more comfort and support. Ideally, a memory foam mattress topper that has a density of 3 lbs is suitable for normal people. However, if you suffer from body and joint pain, you might want to go in for a 4 Lbs one. The fit is extremely important when it comes to the memory foam mattress topper. Nowadays, they are available in different shapes and sizes that will fit your bed perfectly. Before you are buying, carefully check the fit so that you don’t end up buying the wrong one. If you are just looking to make your existing mattress feel more comfortable, you can buy a memory foam mattress topper that is 2-inch thick. It will retain the feel of your mattress while making you comfortable. 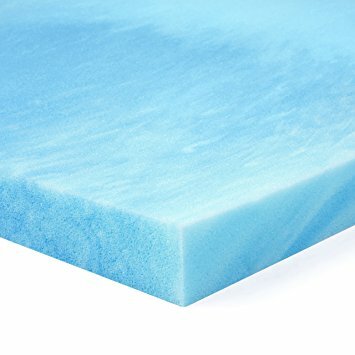 On the other hand, if you want to completely enhance the experience, you can buy memory foam mattress toppers that have a thickness of 4 inches or so. Memory foams are made to resist dust mites and other allergens. However, having a cotton cover with a high thread count will protect it from dust, stain, and other such damages. Now that you have this checklist handy, let’s take a look at some of the best memory foam mattress toppers out there. This mattress topper is one of the best out there as it evenly distributes your weight on your best memory foam mattresses. It’s responsive mechanism isolates your activity or movement in bed so that your partner is not affected by it. Also, this mattress foam topper remains solid at room temperatures but once you lie down, it starts responding to your body temperature. It will adapt to the heat radiated to your body and mold itself accordingly, like a good memory foam mattress topper should. This mattress topper has been clinically tested for any kinds of hazards, emissions, and quality. This memory foam mattress topper has a higher density index of 2.5 inches which means you will be able to get a comfortable sleep every night. The mattress will be able to conform to your body’s shape and size thereby serving the purpose of providing you comfort and support. This memory foam topper can fit Twin, Twin XL, Full, Short Queen, Queen, and King size beds. If your mattress falls into any of these categories, you can easily purchase it today. The best thing about this memory foam topper is that it has a thickness of 4 inches. As mentioned before, a memory foam topper with this thickness will be able to provide a lot of comfort to those who are suffering from body and joint pain. If you wake up feeling stiff and your body parts ache, then you should try using this mattress as it will completely alleviate your sleeping issues. It comes with a 100% polyester mesh cover that has a zipper. This ensures that your memory foam mattress topper will be protected from external damage due to the high-quality cover. The cover, however, will not be a hindrance when it comes to the memory foam adapting to your body. In fact, it will help you sleep better. Overall, this is an excellent choice for anyone who wants to sleep comfortably and waking up feeling rested and fresh. 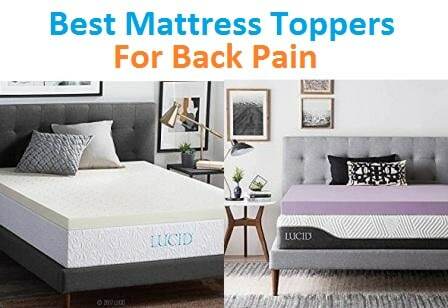 If you have been suffering from chronic back pain, joint pain, muscle pain, or arthritis pain, this mattress will help ease that pain when you sleep at night. It has been specially designed to provide relief to those who are suffering from hip, back, join, or any kind of muscle pain. This memory foam topper will take the pressure and stress away from your injuries and help you sleep comfortably. When you wake up, you won’t feel tired or stressed. Instead, you will feel energized and ready to take on the day. The makers of the mattress topper are offering a 30-day money back offer if you are not satisfied with the quality of the product. The topper is made in the USA from high-quality materials to assure you get the best and safest product for your family. This memory foam topper can fit Full, King, Queen, and Twin beds. Memory foams can produce heat, thereby making you uncomfortable at night. However, this one by Luxurest comes with 4 inches of cooling gel on the top. It has been infused with gel cooling technology so that you can sleep in peace on matter how hot it gets at night. A good night’s sleep is guaranteed on this mattress. On purchasing this mattress, you will get a cover worth $50 free with it. The cover has 300 thread count and is made of high quality material. It not only protects the mattress but also allows breathability so that the cooling effect isn’t blocked off. Additionally, the best thing about this cover is that you can wash it in the machine whenever you want. There is nothing more annoying than waking up due to your partner’s or kid’s slight movements in bed. 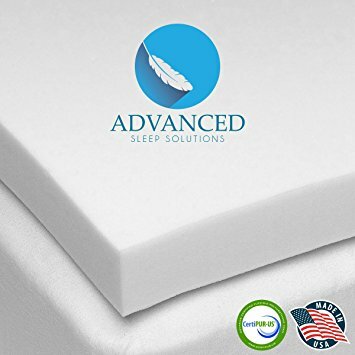 Advanced Sleep Solutions Gel Memory Foam Topper is designed to minimize motion transfer, thereby allowing you to sleep in peace no matter how many times your partner, kid, or pet moves in bed. This comfortable mattress topper also ensures a good night’s sleep by adding another level of comfort to your old mattress. It comes with a 2 inch gel memory foam, which provides relief to pressure points in your body, helps in the alignment of your spine, and soothes and relaxes your muscles. The memory foam has been made in accordance with the rules set out by CertPUR-US. This means that the memory foam topper is devoid of any harmful substances like Ozone Depleting agents, formaldehyde, PBDE, TDCPP, or TCEP flame retardants, mercury, lead or heavy metals or phthalates. Hence, this mattress is perfect for people who are concerned about the environmental impacts of the products they purchase. The memory foam mattress topper has a low density rating of 3.3 lbs per sq. ft. It relieves pressure and adds just the right amount of support to your old mattress. What’s more, it also adds some medium range softness to it. 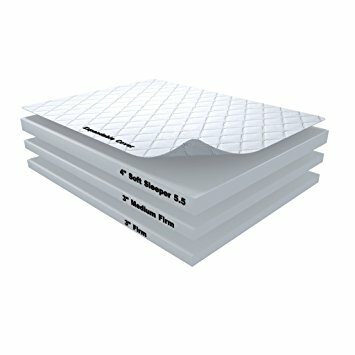 This memory foam can fit Twin, Twin XL, Queen, Full, King, and California King sizes. That’s quite a huge range. This product has a thickness of 2 inches and has been designed to help your muscles relax when you sleep at night. It fits perfectly on top of your old mattress, giving you the experience of using a brand new one. The memory foam mattress topper doesn’t come with a cover so you will have to purchase it separately. There is nothing more relaxing and important than a good night’s sleep. If you don’t sleep well at night, you will wake up feeling tired and exhausted. Sometimes, the lack of sleep can even ruin the entire next day for you. A majority of the times, the best Lucid mattresses play a big role in the quality of sleep that you get. If you want to have a comfortable sleep surface, then LUCID 3-inch gel memory foam mattress topper is a good choice. It conforms to the curves of your body to create an individualized experience. It aligns with the spine and helps eliminate pressure points in your body. It comes with a ventilated design that improves airflow within the mattress to ensure that your body heat doesn’t heat up the foam. Around hundreds of evenly sized and spaced ventilation holes ensure that air flows freely within the mattress to create a comfortable temperature that doesn’t disturb your sleep. This particular mattress is available in Queen size and comes with a dimension of 60”x80”. However, the same product, with different dimensions, is available for Twin, Twin XL, Full, Full XL, King, and California King. This LUCIC memory foam mattress topper has a thickness of 3 inches. 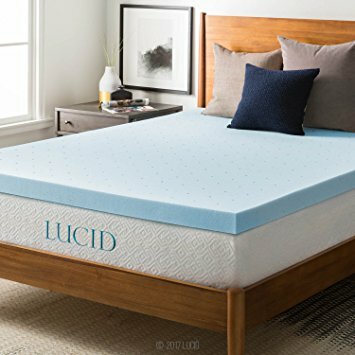 It is made with a specialized memory foam formula that ensures that the entire topper is extremely plush, airy, and responsive to your body type. The memory foam is infused with a gel in order to regulate your temperature. This ensures that your body heat is evenly captured and distributed so that the foam doesn’t end up getting overheated. Do you have an old mattress that you don’t want to give away? But, it’s also too hard now to have a good night’s sleep? Sometimes, we have people at home who love sleeping on hard mattresses but the same may not be the case with us. A lot of us may have physical conditions that get worse when we sleep on a hard and old mattress. It only adds to the pain and makes you feel tired and irritated when you wake up. What’s more, it can even accelerate your problems. This is where DreamFoam Gel Swirl Memory Foam Topper comes in handy. It’s made in such a way that you can just put it on top of your existing mattress and you will have a whole new bed to sleep on. The soft visco elastic memory foam adds comfort and improves the quality of your old mattress the moment you place it. 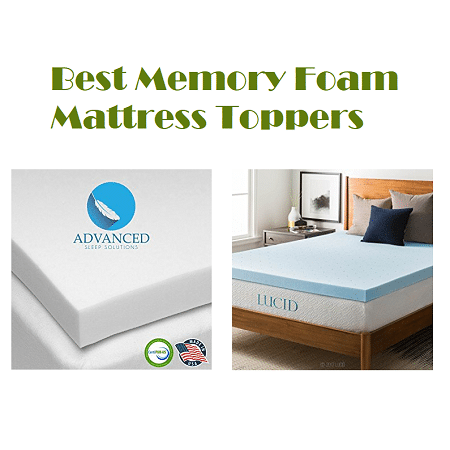 If you are someone who is concerned about the environmental impacts of the products you buy, then you will be glad to know that Dream Foam memory foam topper is made in the USA and meets the standards of CertiPUR-US. This means that the product is devoid of ozone depleters, PBDEs, TDCPP or TCEP (“Tris”) flame retardants, mercury, lead, heavy metals, formaldehyde, or phthalates. No chlorofluorocarbons (CFCs), low VOC. It has also been performance-tested, durability-tested, emissions-tested, and content-tested by various accredited and independent laboratories. This memory foam topper is 2 inch thick and comes with a gel swirl technology. The soft visco elastic memory foam has been designed to add an extra layer of comfort to your existing mattress. Sometimes, old mattresses can become hard and smell a little due to months or years of use. They not only hurt your muscles and pressure points but also disturb your sleep. In such cases, replacing the mattress is an option but you can continue using it by just putting a memory foam topper on it. Now, you might probably think how adding a memory foam topper can solve the odor problem? The answer is LUCID 3 inch lavender infused memory foam mattress topper. This product is great when it comes to distributing your weight evenly and conforming to the size and shape of your body. It also eases pressure points and makes your body more relaxed while sleeping. To add cherry on the top, the memory foam mattress topper comes infused with a lavender scent that helps you get a good night’s sleep. Lavender has long been proven to help your mind and body relax. This particular memory foam mattress topper fits a Queen size bed and measures 59 inches by 79 inches. You can buy other variations of the product in Twin, Twin XL, King, Full, and California King sizes. This memory foam mattress topper is 3 inch thick which means it provides a good depth over your existing mattress. It’s almost like you have a new mattress to sleep on. The topper adds an extra layer of softness and amazing comfort to your old mattress. As mentioned earlier in this guide, Visco Elastic memory foam was first designed by NASA to make sleeping surfaces for their astronauts. Later, this technology was used to make mattresses that provide the same kind of comfort. However, these mattresses come at a whopping price of $5000 or more. It may not be possible for everyone to buy a mattress alone that burns a hole in their pocket. However, there is a solution to this and it’s this Soft Sleeper 5.5 inch memory foam mattress topper. It costs about 94% less than the super expensive visco elastic mattresses and is still of great quality. This product uses the same technology that was built by NASA and gives you a memory foam topper that is just as luxurious and comforting. It is made from heat sensitive visco elastic memory foam that reacts to your body temperature. This means that the memory foam stays cool during summers and warm during winters. If you have been following commercials of visco elastic mattresses on TV, you should know that only the top 2 to 4 inches of those products actually use the visco elastic material. And yet they charge you as much as $5000 for it. This memory foam topper on the other hand is 5.5 inches of visco elastic and nothing else. This memory foam mattress topper fits a full bed. However, it is also available in different sizes like Twin, Twin XL, Queen, King, and California King. This memory foam mattress topper has a thickness of 5.5 inches that contours around your body and helps you sleep well. It also alleviates the pressure points and helps ease neck and back pain. The entire mattress is made of visco elastic foam, which will help you sleep as peacefully as a baby. This memory foam mattress topper doesn’t come with a cover. If you have been using a mattress for quite some time now, you will notice that a valley might have formed on the mattress. This happens when your body’s weight puts pressure on the mattress and because they are not resilient, the valley keeps getting deeper. When this happens, you sleep on an uneven and hard surface that does very little to give you a comfortable night’s sleep. This is why it’s important to buy memory foam mattress topper like Red Nomad’s, a company that clearly has an understanding of the science of sleep. The product is made of Visco Elastic, which means restful sleep is guaranteed every night. It also offers a lot of support to your body so that you don’t end up with any pain in the back or neck. Also, irrespective of how you sleep, whether on your back or your stomach, this memory foam mattress topper provides enough support to help you sleep better. The memory foam has been made in accordance with the standards set by CertiPUR-US, which means it is free of harmful substances like formaldehyde, flame retardants, heavy metals, phthalates or ozone depleters. Additionally, the topper has been cut 1” inch shorter from all sides so that it fits snugly when you put on the sheets. This memory foam mattress topper is made of 2 inches of visco elastic memory foam. It comes with a Cool Polymer Cycle Design that keeps the heat out and the cool air in. This means that you no longer have to endure sweaty nights. Instead, you can have a comfortable sleep every night. This memory foam mattress topper has been designed to give you the ultimate sleep experience. It’s build to ensure that you get both comfort and support while sleeping. It also reduces tossing and turning in bed, thereby ensuring that you have a more peaceful night. The memory foam mattress topper has been made with high quality material that makes it hypoallergenic and anti-microbial. Hence, it provides great relief for people suffering from any kind of allergy or asthma. This is not an ordinary memory foam topper. Instead, it’s known for it’s therapeutic qualities and orthopedic support. The foam has been designed to contour the curves of your body and provide immense support. 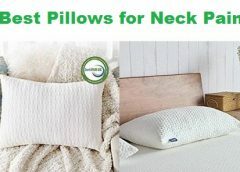 If you suffer from any kind of neck, back, and shoulder pain, this memory foam topper will help you relieve them. What’s more, it is a long lasting product that will keep you comfortable for a long period of time. The product is CertiPUR-US certified, which means it doesn’t contain any harmful substances. The twin mattress topper measures 73”x37”x2”. It comes with a high density construction, which means it will not lose its shape even after long use. This particular memory foam topper fits perfectly in a twin bed. However, it is also available for Full, Queen, and King sized beds. Get a comfortable and luxurious night’s sleep with this 2” memory foam pad. It comes infused with gel beads that dissipate heat from your body instead of letting it pool in your mattress or mattress topper. This technology helps your body stay cool. The memory foam mattress topper comes with an ultra soft removable cover with little nubs at the back that stop the foam from slipping away. Great product for people suffering from arthritis, back pain, shoulder pain, neck pain, etc. 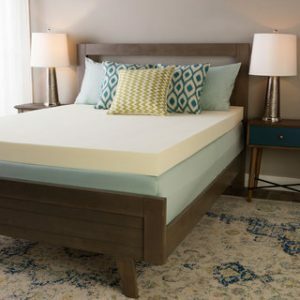 This memory foam mattress topper is 2 inches thick and is crafted from premium quality material that provides support to your neck and back all throughout the night when using your best mattresses. It has been designed to ensure that you get maximum support when sleeping and the stress on all your pressure points are relieved. What’s more, you will wake up feeling relaxed from a good night’s sleep. The best thing about this memory foam mattress topper is that it doesn’t allow impressions to form on the foam. You can use it for as long as you want and there won’t be any valleys in the product. This means that every day you will go to sleep on an even and welcoming surface, all thanks to the open cell technology used in this product. Since it is made using open cell technology, it is clear that the memory foam topper has a thick density. Which is why, it is able to bounce back to shape every time you leave the bed. This memory foam mattress topper is available for King size beds. It is 2 inches thick and is made of premium quality foam. This is an ideal addition to your old mattress, which will get a makeover once you add this. This product doesn’t come with a cover. Is available in only one size. 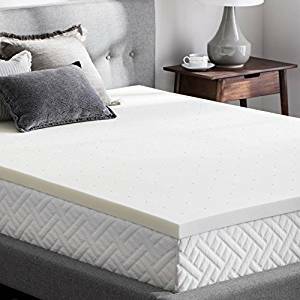 The TEMPUR Supreme 3-Inch Premium Foam Mattress Topper from Tempur-Pedic, Pressure Relieving, Assembled in the USA, Adaptable Personalized Comfort, 25 Year Warranty, Queen Sizes a product of innovation at Tempur-Pedic. It has been designed and manufactured to contain the same type of material that is found in the mattresses produced by the company. It comes with an incredible 25-year limited warranty which covers the defects due to material and workmanship. The material that has been used to make this mattress is proprietary and helps to relieve pressure on the user’s body for a great night’s sleep. It provides an exemplary level of comfort and support which rejuvenates the user after a good night’s rest and he/she can face the day ahead with vigor and vitality. It can be used on a futon or even on the floor. 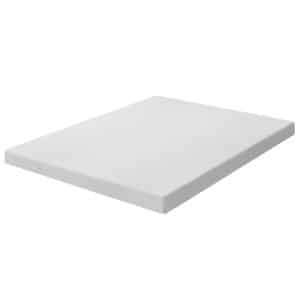 The TEMPUR Supreme 3-Inch Premium Foam Mattress Topper from Tempur-Pedic, Pressure Relieving, Assembled in the USA, Adaptable Personalized Comfort, 25 Year Warranty, Queen Size fits all the popular sizes like the Twin, Twin XL, Full, Queen, King and California King. The TEMPUR Supreme 3-Inch Premium Foam Mattress Topper from Tempur-Pedic, Pressure Relieving, Assembled in the USA, Adaptable Personalized Comfort, 25 Year Warranty, Queen Size is 3 inches thick which means that it has the capacity to provide a high level of comfort by relieving pressure on the user’s body and at the same time, it provides support as well. This is a good feature for those who suffer from joint pain, etc. The TEMPUR Supreme 3-Inch Premium Foam Mattress Topper from Tempur-Pedic, Pressure Relieving, Assembled in the USA, Adaptable Personalized Comfort, 25 Year Warranty, Queen Size has got a removable cover which protects the user-mattress from dust mites as well as dirt. It is also machine washable. The cover is highly breathable thus ensuring passage of air to keep the user dry and cool at the same time as it increases the air flow. It is also resistant to allergens and helps people who have allergies to wake up fresh rather than waking up with a stuffy nose or skin irritation. The mattress cover is highly breathable. It is resistant to allergens and dust mites. It is extremely comfortable and supportive. The density of the mattress cover is not known. The 4-Inch Dual Layer Mattress Topper from Sleep Innovations. Made in the USA, 10-year limited warranty, Twin Size allows the users to enjoy a perfectly sound sleep in the night regardless of their sleeping style. 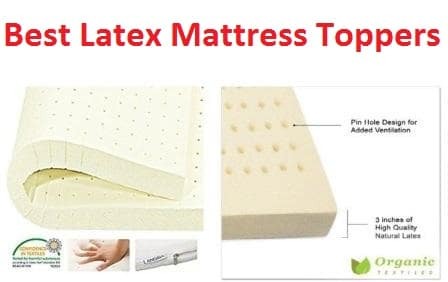 Whether the user sleeps on his/her back, stomach or on the sides, this mattress topper is able to provide the ultimate in comfort as well as required support for the user. The Ussr literally feels if he/she is sleeping on a puffy cloud. This is enabled by the 2 layers of the mattress topper contain9ng fluffy fiber along with gel memory foam. It provides an extraordinary level of comfort and body contouring capability arising out of the gel memory foam and fiber usage as well as perfectly gentle support which relieves pressure as well. The 10-year warranty provided by the manufacturer speaks volumes about the quality level of this mattress topper. The limited warranty covers defects due to material and workmanship. The 4-Inch Dual Layer Mattress Topper from Sleep Innovations. Made in the USA, 10-year limited warranty, Twin Size has got sizes that fit the other sizes like Full, Queen, King and California King as well. Availability of the mattress topper in these sizes provides a lot of flexibility in terms of its usage. The 4-Inch Dual Layer Mattress Topper from Sleep Innovations. Made in the USA, 10-year limited warranty, Twin Size is 4 inches thick as it has got 2 layers each 2 inches thick. One layer is of fluffy fiber material while the other is of gel memory foam. The gel memory foam provides features such as body contouring, motion isolation, and support for user’s back, the fluffy fiber provides the ultimate in softness and comfort. The 4-Inch Dual Layer Mattress Topper from Sleep Innovations. Made in the USA, 10-year limited warranty, Twin Size has been equipped with a removable cover which is also machine washable and can be easily dried in a dryer. The cover also adds to the luxurious feel of the mattress topper as it is soft to touch and feel. The product is made in the United States. The mattress topper has 2 layers to provide both comfort and support. The mattress topper keeps the user dry and cool throughout the night. The 10-year warranty is not the highest in terms of the mattress toppers in the market. 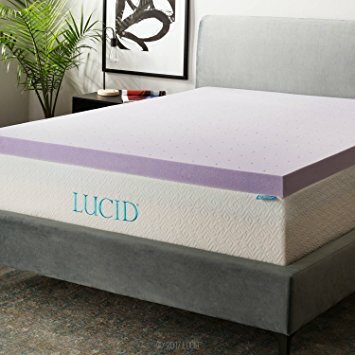 The 2-inch 5-Zone Lavender Memory Foam Mattress Topper from LUCID, Queen size has got an infusion of lavender scent and it has also been equipped with 5 different zones that are designed and manufactured to ensure that the various pressure points on the user’s body are reduced to enhance the level of comfort. These pressure points are related to the head, shoulders, hips, knees as well as ankles of the user. These 5 zones ensure that the user is provided with an ideal level of support which leads to a reduction or outright elimination of the need to toss and turn on the bed throughout the night. The mattress topper is also highly breathable as it has been texturized. This ensures that the air flow is enhanced and the user remains col and dry throughout the night. The lavender scent has got a calming and relaxing effect on the user which enable the user to fall to sleep faster. The soothing scent of lavender has been fused into the gel memory foam used in the mattress topper. By simply adding this mattress topper to the user’s mattress enables the user to breathe deeply and enjoy a fully relaxed and undisturbed sleep throughout the night. The user is able to get up the next morning feeling extremely refreshed and finds himself/herself ready to face the hectic day ahead. 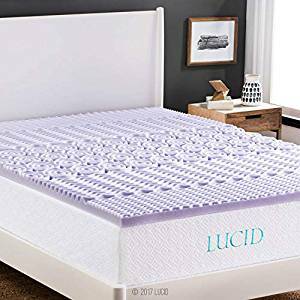 The 2-inch 5-Zone Lavender Memory Foam Mattress Topper from LUCID, Queen size is able to fit other standard sizes besides the Queen size. These include Twin, Twin XL, Full, Full XL, King and California King. Availability in all these sizes is a great advantage for a different type of users in the market. The 2-inch 5-Zone Lavender Memory Foam Mattress Topper from LUCID, Queen size has a thickness of 2 inches. This is a memory foam layer which gives the user a very comfortable sleep experience and at the same time provides the required support to the back of the user. It also conforms to the shape of the user’s body. It has the ability to align the spine of the user to eliminate the pressure points. This totally relaxes the user and takes away the fatigue. The 2-inch memory foam is extremely responsive beside being very airy and plush. The mattress topper is very airy and responsive. Lavender scent relaxes and calms the user. The memory foam enables body contouring. The thickness of 2 inches might not be preferred by all users. The 4-Inch Memory Foam Mattress Topper from Best Price Mattress, Queen size has been designed and manufactured to provide to the user extreme comfort and support at the same time. It has been provided with 2 layers of foam. The top layer is the memory foam layer which provides body contouring to the user’s body and enables a high level of comfort. It is also able to isolate motion and the movement of the sleep partner does not disturb the user at all and vice versa. Moreover, the memory foam which is rather firm at norm, al temperature starts to soften as its temperature rises when the user lays down on it. With the rise in temperature, it stats to assume the shape of the user’s body. The memory foam also distributes the weight of the user’s body evenly throughout its surface and is also instrumental in relieving the pressure points. This greatly helps the user as he/she is thus able to sleep throughout the night without tossing or turning. The end result is a refreshed and rejuvenated user getting up the next morning and feels fully ready to take on the hectic day ahead. The 4-Inch Memory Foam Mattress Topper from Best Price Mattress, Queen size is also available in other sizes besides the Twin size. These sizes comprise of Twin XL, Full, Queen, Short Queen, King, and California King. The availability in all these sizes helps various different users who have different size mattresses to make good use of this incredibly well-performing mattress topper. The total thickness of the 4-Inch Memory Foam Mattress Topper from Best Price Mattress, Queen size is 4 inches. This is divided into 2 layers. The top layer is a memory foam layer of 1.5 inches. The lower layer is a 2.5-inch high-density foam. The upper layer provides comfort and body-contouring while the lower layer is instrumental in providing the necessary support. Thus, together, these 2 layers in an overall thickness of 4 inches provide an extraordinary level of comfort along with a high level of support to the user. The 4-Inch Memory Foam Mattress Topper from Best Price Mattress, Queen size is made available to the user in a zippered cover which is made out of polyester mesh. The overall dimensions of the mattress topper are 80 x 60 x 4 inches and the weight is 22 lbs. Excellent support due to high-density foam layer. The warranty is not the highest for mattress toppers in the market. The 2 Inch Memory Foam Mattress Topper from WEEKENDER, Queen Size is neither very thick nor very thin. It is 2 inches high and it is considered to be just the optimum level of thickness as well as comfort and softness without the user feeling that he/she has been sunk into the mattress topper which might appear awkwardly uncomfortable to some. The mattress topper has been designed to increase the air flow through it as the design emphasizes ventilation. This enables the user to remain cool and dry throughout the night and spends the entire time feeling relaxed and calm without the need to toss and turn. This leads to the user getting up the next morning in a fully energized and rejuvenated state and feels fully capable of facing the hectic day in front of him/her. The high level of breathability of the mattress topper also ensures that the body temperature of the user regulated to keep him/her cool throughout the night. The mattress topper is made available to the user in a compressed, rolled and boxed form. When it is unpacked by the user, it needs to be kept unrolled for at least 2 days so that it can attain the fully uncompressed state after decompression. The 2 Inch Memory Foam Mattress Topper from WEEKENDER, Queen Size is available in other sizes besides the Queen size. These available sizes are Twin, Twin XL, Full, Queen, King and California King. as these are the most widely used sizes for mattresses, a wide variety of users are able to make use of this mattress topper. The 2 Inch Memory Foam Mattress Topper from WEEKENDER, Queen Size has a thickness of 2 inches which is neither too less not too much and is just the right amount of thickness to ensure that the user does not sink into the mattress topper. This thickness is thus optimal for the mattress topper to provide the required level of comfort to the user. This mattress topper does not include a cover so the user needs to purchase one separately or use an existing one that fits it well. The mattress topper is very comfortable. It is 2 inches thick which is considered as neither too thick or too thin.